Frame all dressed up in Kryptek® Neptune™ camouflage. 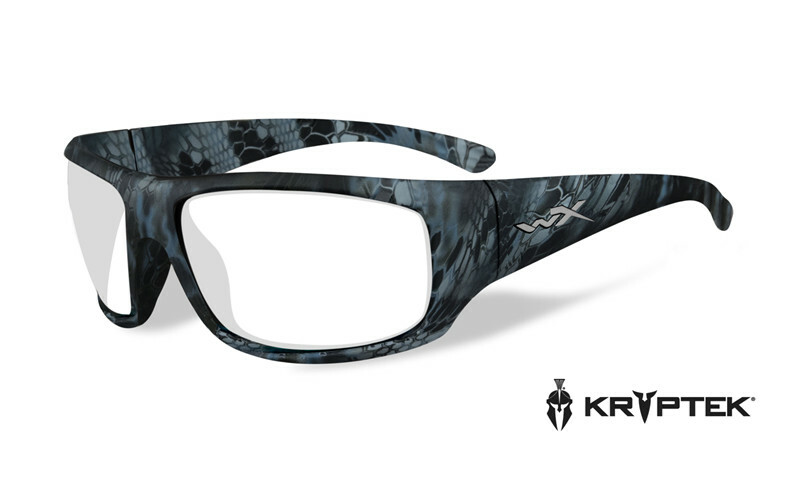 This model is a one out of 4 Kryptek® dressed styles offered by Wiley X and already now one of them was crowed as best new eyewear for 2017 at the Efttex show. It is on of top sellers.